Slightly bigger than an 18-passenger minibus, this minibus offers mobility and convenience for smaller groups who don’t quite need a full-sized charter bus. Perfect for a night out in town, the 20-passenger minibus will help keep your groups organized no matter where you’re going. 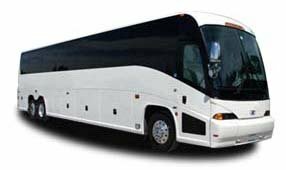 Whether you’re transporting groups for a corporate event, wedding, sporting event, school trip, or more, Boston Charter Bus Company will make the booking process simple. We’ll match you with a reliable, up-to-date, and safe bus rental that will get you to your destination efficiently. For a free, personalized quote, call our reservations specialists 24/7 at 617-314-7577.